It’s decided, you want to write a mummy blog. Not easy if you’ve never ever been part of the social media landscape. A bit scary even. C’est facile! 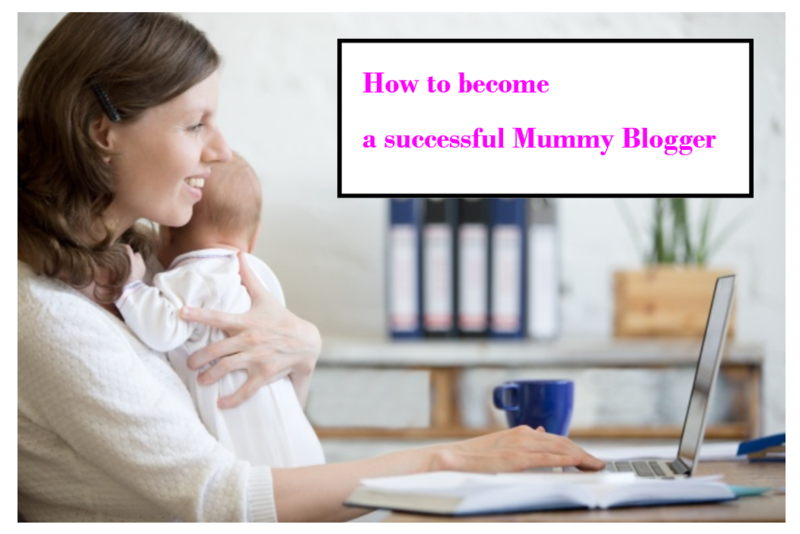 Search online ‘How to become a successful Mummy Blogger’ and you will have plenty of ideas. People will tell you how to start it and become the queen of the blogging world! Here are some of my favourites tips on how to become a successful Mummy Blogger and what I made of them when I started the Frenchie Mummy blog. Understand your audience – You’re kidding me? I can’t even understand myself sometimes. My hormones are playing weird tricks on me. Happy now, moody in the next hour. Even poor Grumpy Boyfriend doesn’t know sur quel pied danser. Write for yourself first – Facile! I already talk a lot to myself during my endless walks to get Baba to sleep. Build your email list – I am yet to do this… I need to do some research ASAP! If you feel like me a bit overwhelmed by all this technical stuff, go and check out You Baba Me Mummy. She will help you for sure! Give stuff away – Who wants my old maternity clothes? They look brand new, I promise. I only got stuff like Isabella Oliver or Seraphine. Remember I am a sophisticated woman, right? No, wait a minute, I might be able to convince Grumpy Boyfriend to have another Mini-Me. I will actually keep mes vieilles fripes. Sorry if I disappointed anyone. Give away your knowledge – I have plenty to share. Don’t know if it’s of best quality though. You will have to sort it out yourself I’m afraid. Bonne chance with that by the way. I can be very chatty. Je vous previens! Be true to your voice – According to my friends, I am genuine, honest and funny (vraiment?). So I suppose I will just be my old self. Give it time – But I don’t have any! Write catchy headlines – Totally something I can do. But I also read that I needed to keep titles simple and easy to find in a browser. Que faire?! Be Yourself – Yep, that’s what I am indeed planning to do. Readers will have a true picture of Frenchie Mummy: silly, tired, witty and sometimes totally lost with new technologies. Keep it short – ‘A blog post is like a miniskirt.’ Got it! Will try, but as I said before, je suis une vraie pipelette. Make it worth referencing – Le Saint Graal! Talking about boobies’ size, stretch marks and other wonders… It’s all that people want to know, without admitting it. Voilà what I make of ces lois sacrées. Every time I upload a post, I swear to abide by them (or not!). Now, I know what you are going to say. Frenchie Mummy is not telling you how to become a successful Mummy Blogger! Well, read again this post 🙂 I might have taken a bit the mick here, but the 12 tips listed above are definitely relevant and will for sure help you to set up a very successful blog! Try them and let me know how you get on with them! I will try if Baba allows me or I don’b forget. Very good French ? It’s good to have a list. I didn’t start with a list, or in fact any knowledge at all. But like you I just got straight in and I don’t regret it. Thanks so much for joining #chucklemums! You’re kidding me, thank You and Mumzilla. I have never had so much reaction. I am back every single week with #chucklemums!!!! ? Cool I can’t find your blog on twitter. Where are you hiding? Trying not to hide! Good to link up. Lol! Love it! Ahhh the conflicting advice we hear all the time!! I say sod it…just drink all the wine and write whatever you fancy! C’est Magnifique!! This was very funny. We always have so much advice given to us but sometimes it is simply impossible and we must do and follow what comes naturally. I think you are doing very well. I’m so glad I didn’t read a list before I started blogging – would.ve put me off doing it! Thank you for making me smile on a Wednesday. Thnak you for making me smile on Wednesday. I’m so glad I didn’t read one of those lists before I started, it would’ve put me off! Quite similar here, still in my dressing gown while Baba is chilling out after his morning feed ? Love. It. There are far too many blogging tips posts out there, usually written by someone with 10 minutes experience in the field. Definitely a subject ripe for parody. Love the way you’ve peppered your post with French (although my French is bad) and I’ll take your old maternity clothes! Thanks for commenting. You are so right, so many people feel like they know it all and can give you some tips when they’ve been doing it for 10 minutes. When I checked it all online, I thought i had to take the mick a bit… It was too tempting ? Ha ha I love this! I don’t have much time either – everything is done at a frantic pace! Seriously when I was thinking about doing a blog and read all these top tips from nobodies or almost, I knew I had to take a bit the mick ? Thanks for reading and congratulations on the recent awards ??? Hi Cecile, this blogging lark can be a bit tricky at the best of times without the added complication of blogging tips.Reading them is a must though as you never know when you come across that gem of advice.
? merci, you are a ??? Love it – always be true to yourself! No. 5 and 8 made be smile – I love your ‘take’ on the traditional blogging advice. #thelist. That is very kind of you. Thank you so much! ? Brilliant list. Let’s face it, unless we don’t work or don’t have kids or a social life, how are we supposed to be perfect bloggers??? Love your one about keeping it short like a mini skirt. I’ll remember that one as my posts can be like maxi skirts!! nice to have come across this post via #brillblogposts The follow up comments are great too. This is very funny, I love how you write! I’m a firm believe in #3 and #10 🙂 That’s precisely why I got into blogging many moons ago 🙂 #sharingthelove. Love the way you wrote the post, it’s a rather humorous way of approaching a common blog topic! Merci beaucoup pour le linky-uppy #coolmereclub ( comprend pas?). Your blog is refreshing my GCSE French ha ha! Great list! A little advice with the following by email part. I did that at first but then my emails would be in the high hundreds and I honestly don’t have the time to read that many emails or blogs. I follow anyone who has a wordpress blog as it’s easy to keep track of them in my feed. I used to spend hours reading blogs and finding new bloggers. But now it seems like my linky and trying to get something written at least once a week takes up all of my time. So I am so happy to have you as a part of my linky because I love reading your stuff. #momsterslink. LOL don’t you love the posts about how to blog? It’s all bs in my opinion because we all have our own way and there isn’t a wrong way persay. Tips about marketing and such yeah if they are from someone who actually knows something, I get it. Your very popular so you are obviously doing it right. And teaching us French! Give it time they said LOL I like a lot of these tips. Thanks for sharing. Love how you remind us to use our own voices and stay true to ourselves. You’re a hoot and a half – this was hysterical! I love your wit (and the self-deprecating humor). This was funny, but oh so true. Lol. I’m still learning this whole new blogging thing myself so I so feel this post. This was funny! I totally get it. I was expecting the same old post of blogging ideas.. But instead I had the best laugh!!! 100 % correct. Understand your audience ?..I don’t even understand myself. ? This is a brilliant list! Particularly loving the ‘give it time’ So true, I have none! Always chasing that elusive quiet blogging time! Haha this is cute … and most of it is probably true. Especially that we all really want to talk about stretchmarks and all! Thanks for linking to #EatSleepBlogRT. Hope you join again next time.